Is The AR-10 The Most Versatile Rifle You Can Own? Home Is The AR-10 The Most Versatile Rifle You Can Own? Ask yourself this question: if you could only own one centerfire rifle, what would it be? Think about that question very carefully. Just one rifle for literally everything. What would it be? If you could only own one rifle, you would naturally want that rifle to be as absolutely versatile as possible, right? 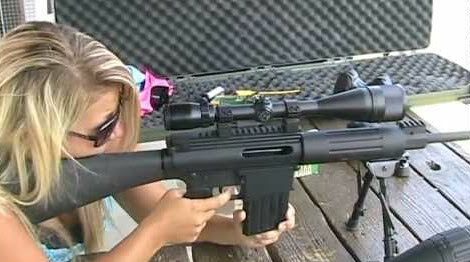 3 Why Is The AR-10 The “One Rifle To Own”? In the 1950s, the United States military was looking to replace their aging M1 Garand .30-06 rifles. Though certainly innovative in the 1930s, by the 50s the militaries of the world were switching to magazine fed semi-automatic rifles and the Garand was largely outdated. The military was also looking to replace the following weapons along: the BAR LMG, M1 Carbine, Thompson submachine gun, and M3A1 Grease Gun. The idea was to issue a new semi-automatic rifle in 7.62x51mm (or .308 Winchester) that would replace each of those weapons. The .308 round was chosen because that’s the round that other militaries of the NATO world were switching to, and eventually to the FN FAl. The American military essentially narrowed their selection down to two options: the FAL and the Springfield M14, essentially an M1 Garand re-designed to take .308 box magazines versus the old .30-06 stripper clips. Anyone who knows this story knows that, to the chagrin of the rest of NATO, the military went with the M14. Anyone who knows this story also knows that the M14 was one of the shortest lived issued rifles in American military history. Yes, the M14 is still being used in select units today as a DMR, but it was the shortest lived standard issue rifle as it was replaced by the AR-15. But what few people don’t know is that it during this time, another .308 rifle was submitted for consideration by the military: the AR-10. The AR-10 was developed by Eugene Stoner for ArmaLite and was first released in 1956. 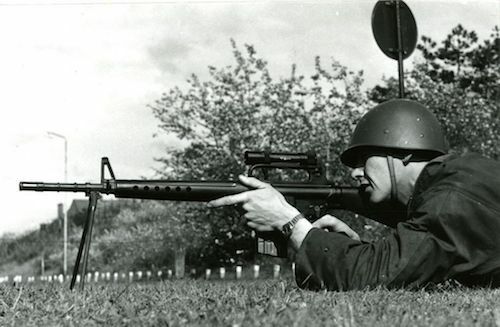 It was notable for being at least a full pound lighter in contrast to other service rifles of the era. The military rejected the AR-10 because they were only shown prototypes and they didn’t believe it could be produced and issued to troops within the designated time frame. Nonetheless, the AR-10 design didn’t die out. 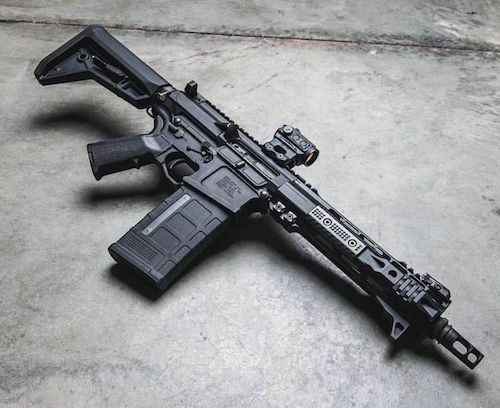 One year later, it was re-designed to accept the 5.56x45mm NATO round in the form of the AR-15. After the military quickly saw the shortcomings of the M14 (it was heavy, unwieldy, and had substantial recoil for smaller troops to name a few things), they switched to the AR-15, issued in the form of the M16 rifle and M4 carbine to troops. The M4 remains the standard issue infantry rifle of the United States military to this day. The AR-10 subsequently flew under the radar for several years as the AR-15 established itself as the primary rival to the AK-47 adopted by other countries outside of NATO, but again, it didn’t die out. Today the AR-10 has seen a resurgence and is one of the top choices for a .308 battle rifle. Its primary three competitors are the M1A/M14, FN FAL, and the HK G3 series of rifles. The AR-10 is a lightweight, gas operated rifle with a pistol bolt carrier and rotary bolt locking mechanism. 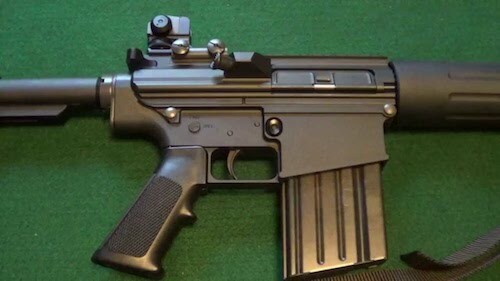 On the outside, it basically resembles an AR-15 that has been scaled up to accept larger magazines that contain the .308 Winchester/7.62x51mm NATO rounds. The AR-design as a whole was really ahead of its time, and it really took decades for the AR-10 in particular to be accepted by military and civilians alike. Variants of the AR-10 are issued in the United States military as a sniping or designated marksman’s rifle. It’s accuracy, same controls as the AR-15, and longer range and greater power than the AR-15 have made it a popular firearm among troops. The AR-10 has also carved a sizable niche into the civilian market for those who desire an AR platform rifle but want more power and range than the 5.56x45mm NATO that the AR-15 provides. Why Is The AR-10 The “One Rifle To Own”? It’s not just the AR-10 in particular, but the .308 battle rifle concept as a whole. The .308 semi-automatic rifle in general is just a very versatile and practical weapon for the 21st Century because it can be easily used for both big game hunting and tactical/defensive use. For one thing, the .308 Winchester round is more than capable of bringing down North American big game, including deer, pronghorn, wild boar, black bear, elk, and even moose if necessary. And being a magazine-fed semi-automatic rifle means that the AR-10 can be very easily utilized for tactical purposes as well in today’s world. The manual of arms will be just like the AR-15, only you’ll be firing a heavier caliber bullet, and reloading is quick and easy. Granted, one role that the AR-10 will not be that great at is for close quarters home defense. This is due to the .308 caliber round, which is simply too big for most home defensive purposes as it would too easily pass through walls and other barriers. A lighter caliber rifle, shotgun, or handgun would be better suited for home defense use. In short, a .308 semi-automatic rifle just makes sense from a practical viewpoint. It doesn’t fulfill every role you need a rifle for, but if it’s the only one rifle to own if you could only own one, a good argument could be made that the .308 semi-auto and the AR-10 in particular would be the one to get. In an SHTF/disaster world where things have gone bad, such as from an EMP attack or a complete economic collapse or whatever have you, you’ll be forced to fend for yourself and your family. In that scenario, you would want a rifle that could tap targets at a distance and that could bring down big game to meet on the table. Ideally, that rifle would also be a semi-automatic so you could defend yourselves against multiple attackers if need be. Each of those criteria points to a .308 semi-automatic rifle of some kind being your best bet, and the AR-10 is unquestionably one of the best examples of a .308 semi-automatic on the market in today’s world. Let’s talk about the AR-10 and the AR-15 in greater depth, because many people would disagree that the AR-10 is the more practical or convenient rifle. The biggest difference between the two weapons is caliber, .308 for the AR-10 and 5.56x45mm NATO for the AR-15. The .308 is the more powerful round, but it’s also the more expensive. You could easily buy two or possibly even three boxes of 5.56 for every one box of .308. This, combined with the fact that AR-15 rifles are always available cheaper to begin with, means that the AR-15 is without question the more cost effective firearm. Another advantage in the favor of AR-15s is magazines and aftermarket support. The AR-15 is one of the most customizable firearms ever made. Furthermore, AR-15 magazines are almost completely interchangeable. The same isn’t true with the AR-15. The Armalite AR-10, for instance, only accepts proprietary magazines. 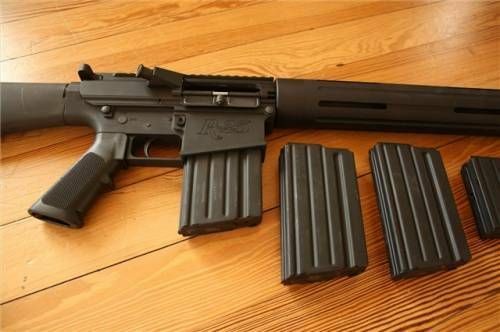 The DPMS only accepts DPMS and Ruger SR-25 magazines, in addition to a few third party magazines. 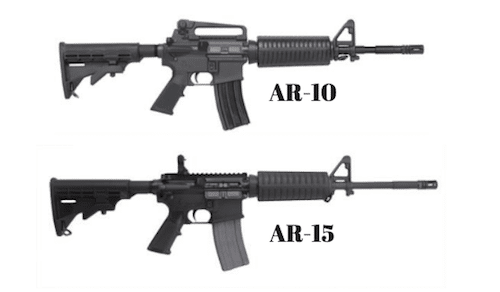 Finally, the AR-15 is also a lighter and usually shorter weapon than the AR-10. It can be more easily maneuvered around tight corners without wearing your down. An AR-15 will weigh around six pounds out of the box; an AR-10 will be anywhere from eight to ten pounds. So in terms of cost, availability of parts, and portability, the AR-15 is the undisputed winner over the AR-10. But the AR-10 has advantages over the AR-15 of its own. For one thing, the .308 round has much greater range than the 5.56 and can bring down heavier game. 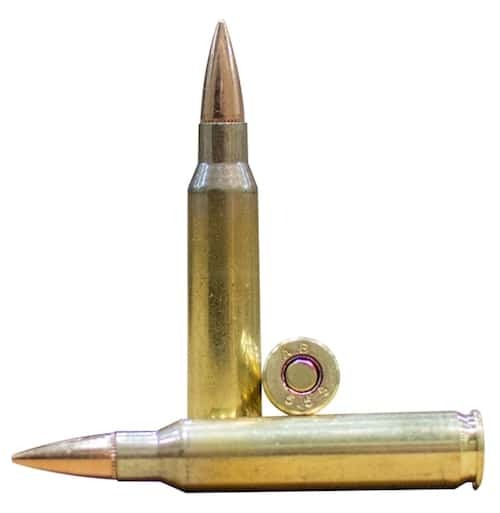 The largest size of game that a 5.56x45mm NATO bullet can comfortably bring down is deer, and some argue that you shouldn’t go any less than a .30-30 to be truly humane. In contrast to this, the .308 can easily bring down larger game such as elk. In fact, the elk killed at the longest recorded distance was taken with a .308. Another advantage to the AR-10 is the fact that trigger groups are interchangeable between it and the AR-15. This is an asset for the AR-10, because many AR-10 models such as the Ruger SR-762 have admittedly spongy triggers. Switching to a lighter AR-15 trigger group can greatly alleviate this issue. One thing to keep in mind – AR15 scopes can also work well in the AR10. To conclude, it’s certainly easy to see why the AR-10 is one of the most versatile weapons on the market today. Along with other offerings such as the FAL or the M1A, it certainly makes a case for being the only centerfire rifle to own if you could only own one. Is the AR-10 superior to the AR-15? It depends on your use for it. For long distance shooting and big game hunting it unquestionably is; for closer quarters combat or if you want to save money because you’re on a budget, then not so much. But if you currently do not own a centerfire rifle and you would like to own one, and if you want that rifle to be as versatile as possible in the 21st Century and if money is not a big issue for you, a variant of the AR-10 will definitely be one of your very best options. But of course, you may disagree. If you could only own one centerfire rifle, what would it be and why? Also like to finish up this writeup with a reminder to always look for the best ear protection for shooting humanely available. Practicing shooting can wreak havoc on your eardrums long term.